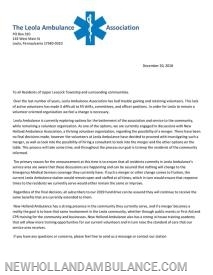 The Mission of the New Holland Ambulance Association is to serve the individuals within New Holland and the surrounding area during illness, injury, accident, or other emergency situations. This mission also includes the performance of other charitable acts and public services that may aid in the welfare of the people of New Holland and the surrounding vicinity. Application period is now open for our 2019 EMT class. Interested in helping your community? Have you been waiting for just the right class to obtain your EMT? Coming this January, New Holland EMS will be hosting a Emergency Medical Technician Certification program for you. Just 2 nights a week, held close by in our station. We'll help you succeed in obtaining your certification! Our application period is now open. 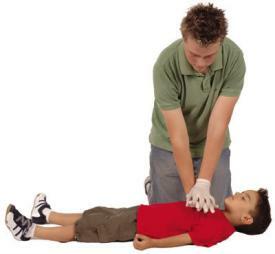 Top 10 Reasons Not To Learn CPR. 10. I don’t want to get sued, despite the fact there are Good Samaritan Laws in every state that will protect me. 9. I don’t hang around old people, despite the fact that it has been proven that Sudden Cardiac Arrest can occur in people of ANY age, including children. Button batteries are dangerous to kids, especially toddlers, and cause severe injuries when swallowed. The coin-sized batteries children swallow come from many devices, most often mini remote controls. Other places you may them are: singing greeting cards, watches, bathroom scales, and flameless candles. •FACT: Almost daily your EMS, Fire or Emergency Department staff are threatened, yelled at or physically assaulted by a patient, upset family member or bystander.